Windows has plenty of features that can simplify one’s life, but many people aren’t aware of them. And it’s not like these features are necessarily hidden or obscure — they’re just easy to overlook. We’ve covered several simple Windows tricks 10 Simple Windows Tricks You're Missing Out On 10 Simple Windows Tricks You're Missing Out On You use your computer day-in day-out. You better not waste time! There's much more to Windows than first meets the eye and we're here to show you its full potential. Read More before, but have since found several more that are worth learning. These tricks are native to Windows and potentially useful on a day-to-day basis. No gimmicks. How many of these do you know? The Start Menu received a big overhaul in Windows 10 A Guide to the Windows 10 Start Menu A Guide to the Windows 10 Start Menu Windows 10 fixes the Start Menu dilemma! Getting to grips with the new Start Menu will supercharge your Windows 10 experience. With this handy guide, you'll be an expert in no time. 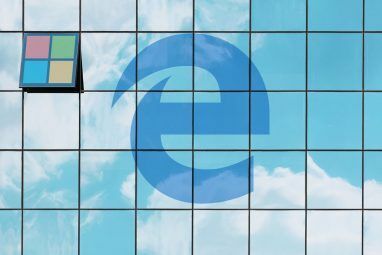 Read More and is one of many compelling reasons to make the upgrade 10 Compelling Reasons to Upgrade to Windows 10 10 Compelling Reasons to Upgrade to Windows 10 Windows 10 is coming on July 29. Is it worth upgrading for free? If you are looking forward to Cortana, state of the art gaming, or better support for hybrid devices - yes, definitely! And... Read More , especially if you’re still using Windows 8.1. But in Windows 8 and 10, most people forget that you can right-click on the Start button. Doing so brings up an alternate Start Menu with several shortcuts that you might need at any given time. The most useful, in my opinion, are the quick links to Control Panel, Command Prompt, Command Prompt (Admin), Power Options, and the various Shut Down options. Alternatively, you can open the menu with Windows Key + X. And in Windows 8 you can customize the shortcuts in the alternate Start Menu 8 Ways To Improve Windows 8 With Win+X Menu Editor 8 Ways To Improve Windows 8 With Win+X Menu Editor Windows 8 contains an almost hidden feature you need to know about! Press Windows Key + X or right-click at the bottom-left corner of your screen to open a menu you can now customize. Read More with Winaero’s Win+X Menu Editor. The Start Menu is an underappreciated aspect of Windows 6 Underappreciated Features of the Windows Operating System 6 Underappreciated Features of the Windows Operating System There are plenty of Windows features you use every day, but some you might not have ever seen. Let's give these underrated tools some credit. Read More , but tips like these will make you just a bit more grateful for it. Not satisfied? Considering improving it with these easy Start Menu customization tips 6 Ways to Hack & Customize the Windows 10 Start Menu 6 Ways to Hack & Customize the Windows 10 Start Menu The Windows 10 Start Menu combines classic elements with modern tiles. Tiles can add a lot of creative freedom. We'll give you tips and reveal tricks for customizing the entire Start Menu to your preferences. Read More . Speaking of alternate menus, did you know that Shift-clicking on any file or folder brings up an extended context menu? Do this on a file and you’ll get extra options like Copy as path. Do this on a folder and you’ll get extra options like Open command window here. It’s just one of several Windows mouse tricks you didn’t know 3 Handy Mouse Tricks You've Probably Never Heard Of [Windows] 3 Handy Mouse Tricks You've Probably Never Heard Of [Windows] The computer mouse is an incredibly nifty device, which unfortunately, a lot of people do not use to its full potential. There are many more things the mouse can do than left-click to move and... Read More . And what’s even cooler is that you can add your own shortcuts to the right-click menu 10 Best Shortcuts to Add to Your Right-Click Menu 10 Best Shortcuts to Add to Your Right-Click Menu The context menu that pops up whenever you perform a right-click can help you become more productive. With the right tool, customizing the shortcuts within it is a breeze. Read More if you want! Tired of typing in your password every time you start up the computer? While this is an important security measure for publicly-accessible machines and computers that hold sensitive data, it’s undoubtedly an inconvenience. For personal laptops and unshared desktops — where security isn’t of the utmost priority — it’s possible to skip the login screen altogether and boot directly into Windows Skip the Login Screen! Here’s How to Boot Into Windows Directly Skip the Login Screen! Here’s How to Boot Into Windows Directly Sick of signing into Windows every time you boot up your computer? Here's how to disable the login screen for good. Read More . However, you do so at your own risk! For frequently-used programs, you might want to launch them with a user-defined keyboard shortcut How to Launch Any Windows Program With the Keyboard How to Launch Any Windows Program With the Keyboard Did you know you can launch any Windows program you want with user-defined keyboard shortcuts? Read More , which is a lesser-known trick that we highly recommend. But along those lines, there’s a related trick you can use to start programs as minimized when launched. This is useful for programs with dashboards you don’t necessarily need all the time (e.g. antivirus software) or programs that operate primarily through keystrokes (e.g. screenshot tools). Just create a shortcut to the program, right-click and select Properties, navigate under the Shortcut tab, and for the dropdown menu labeled Run, select Minimized. You might find that some programs on your system are only necessary when some other program is already running. Or maybe you have several programs that work in tandem to do one particular task (e.g. clean your PC). For situations like these, it doesn’t make much sense to have half a dozen different shortcuts that you have to launch individually. Rather, you should look into creating a batch file to launch multiple programs Launch Multiple Programs From a Single Shortcut Using a Batch File Launch Multiple Programs From a Single Shortcut Using a Batch File Do you always launch a specific set of applications? What if you could launch them with a single click? It only takes a minute to set up and will save you so much time! Read More . Long story short, once the batch file is made, you can simply double-click on it and it will launch all of the programs within it. Let’s say you want to automatically start a program whenever you log onto Windows. It’s easy enough using the Startup folder How To Add Programs To Your Startup On Windows Vista, 7 & 8 How To Add Programs To Your Startup On Windows Vista, 7 & 8 It recently came to my attention that there are people who are under the impression that to allow a program to run at startup, you'll need to either enable it in the included program's options... Read More to manage different programs, but there’s a limitation: these programs are limited to your account privileges. There is a way for you to auto-start programs with administrator privileges, but it requires a bit more work to set up. 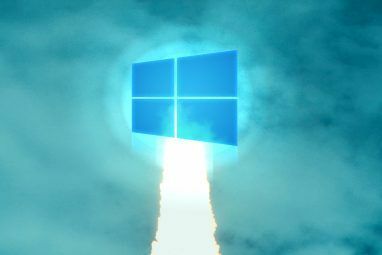 All you have to do is use the Windows Task Scheduler 4 Boring Tasks You Can Automate With the Windows Task Scheduler 4 Boring Tasks You Can Automate With the Windows Task Scheduler Your time is too valuable to be wasted with repetitive tasks. Let us show you how to automate and schedule tasks. We have a few great examples, too. Read More to launch a program when you log on, then edit the properties and make sure you set it to run with highest privileges. Back in the days of Windows XP and prior, Windows had an Administrator account that had full reign over the entire system. When User Account Controls were added in Windows 8, the Administrator account went bye-bye and we were given the ability to “Run as Administrator 5 Tips for Managing Windows User Accounts Like a Pro 5 Tips for Managing Windows User Accounts Like a Pro Windows user accounts have evolved from isolated local accounts to online accounts with various privacy challenges. We help you sort out your accounts and find the settings that work for you. Read More “. Except, it didn’t disappear for good — it’s just hidden. In fact, it’s quite easy to unlock the secret Windows Administrator account How to Unlock the Secret Administrator Account in Windows How to Unlock the Secret Administrator Account in Windows Administration rights are now handled by User Account Control in Windows, but the hidden Administrator account is powerful. Here's how to enable it. Read More so that you never have to deal with User Account Controls again. Just be warned that this is a huge security risk and should only be pursued if you know what you’re doing and if you know how to keep yourself protected against malware and other potential security issues. The Control Panel is an essential component of Windows because it conveniently places all necessary management links in one central location — but it can be confusing to navigate Unlock Windows Potential: Control Panel Demystified Unlock Windows Potential: Control Panel Demystified If you want to be the master of your Windows experience, the Control Panel is where it's at. We untangle the complexity of this power tool. Read More . Strangely enough, the Control Panel itself has a learning curve. But if you unlock the hidden God Mode feature, you can reach an alternate version of the Control Panel that’s arguably more organized and easier to deal with. We prefer it, and we think you will, too. We all know that the Windows Key opens the Start Menu, but did you also know that it has dozens of other neat functions? For example, Win+D hides all windows and shows the desktop, Win+E opens Windows Explorer, and Win+X opens the alternative Start Menu (from #1 in this article). Lots of these “Windows Key shortcuts” exist, so we’ve rounded up the 13 most important Windows Key shortcuts 13 Nifty "Windows Key" Tricks You Should Know By Now 13 Nifty "Windows Key" Tricks You Should Know By Now The Windows Key can be used to do a lot of neat things. Here are the most useful shortcuts that you should already be using. Read More that everyone should learn. Many of them can even help optimize your Windows 10 experience 7 Quick Tips & Hacks to Optimize Your Windows 10 Experience 7 Quick Tips & Hacks to Optimize Your Windows 10 Experience Windows 10 is more than an upgrade to Windows 8, it's an evolution. We've covered many of the big changes, but lots of minor things changed, too. Maybe we can teach you a new trick. Read More . For more little time savers, have a look at our Windows Shortcuts Guide Windows Keyboard Shortcuts 101: The Ultimate Guide Windows Keyboard Shortcuts 101: The Ultimate Guide Keyboard shortcuts can save you hours of time. Master the universal Windows keyboard shortcuts, keyboard tricks for specific programs, and a few other tips to speed up your work. Read More and learn how to find every Microsoft Office keyboard shortcut How to Find Every Microsoft Office Keyboard Shortcut You Could Ever Need How to Find Every Microsoft Office Keyboard Shortcut You Could Ever Need Finding a complete list of keyboard shortcuts can be a chore. Let Word automatically generate a list of all of its shortcuts! You'll find keyboard shortcuts for other Office applications, too. Read More you could ever need. Know Any Other Windows Tricks? 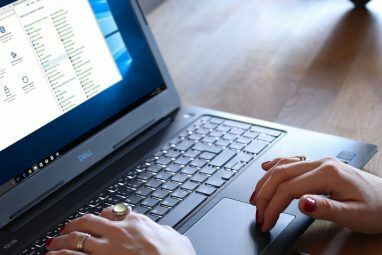 A lot of Windows features tend to get lost in the mix, such as these awesome but forgotten Windows 7 features 5 Windows 7 Features You Didn't Know Existed 5 Windows 7 Features You Didn't Know Existed Windows 7 contains many little-known features. 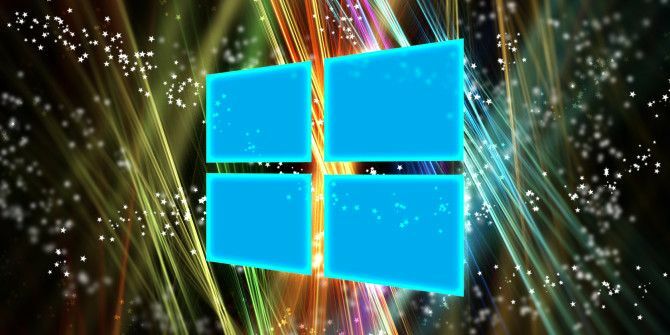 Here we highlight the more impressive ones that could boost your productivity and deepen your love for Windows 7. Read More . We’re positive that there are many more tricks to discover in both Windows 8.1 and 10, but now we want to hear from you. How many lesser-known Windows tricks and tips do you know? Are there any notable ones that have been forgotten over time? Share with us in the comments below! Explore more about: Clipboard, Keyboard Shortcuts, Start Menu, Windows 10, Windows 7, Windows 8, Windows 8.1, Windows Tricks. I prefer WIN+M to minimize all open windows as opposed to WIN+D to show the desktop. I use RocketDock so if I use WIN+D, it also hides RD. WIN+M is the same as using the minimize button on each window only all at once. "9 Simple Tricks You Didn’t Know Were Possible in Windows"
Why is it that bloggers have to headline their work with "You Didnt Know" why cant you realise that maybe, just maybe we DID know? Isnt a better title "9 Simple Tricks You May Not Know Were Possible in Windows". I understand that a phase like You Didnt Know will attract readers just to see if they did know but give us credit for a little commen sense. I'll take you seriously when you spell "COMMON sense" correctly. LOL. When the DESKTOP was included in the ALT-TAB options, I got rid of it as it "got in the way". I soon decided it was useful and added it back. Now it has been removed and I must always pause while my mind adjusts to using WIN-D as a "new" hot-key for my options where before I did everything thru just ALT-TAB. Frustrating ! Is there any trick to add it back in so I can use just 1 hot-key again ? "Create a DWORD Value called AltTabSettings in HKEY_CURRENT_USER/Software/Microsoft/Windows/CurrentVersion/Explorer and set it to 1. "Gives the "old" XP styled Alt-Tab without desktop." If that doesn't work (back up the system or the registry first! ), try MUO Answers. One that I use all the time is CTRL-SHIFT-Esc. This brings up the Task Manager, even if Windows Explorer isn't running. Which turns out to be quite handy, if Explorer has broken or wedged: you can use Task Mangler - ooops, sorry, Manager - to kill the zombie Explorer, and (through File -> Run) spawn its replacement. TM's also handy for killing Firefox when it's inevitably run your entire system out of RAM - when you restart it, it'll give you an "Oops, something went wrong" message and the option to go through all of your previous tabs and remove the ones you don't care about any more before relaunching the browser. Oh, good one! Ever since I started using CTRL+SHIFT+ESC, it's been awesome. Thanks for mentioning that!